Happy Monday Everyone! So sorry that I didn't have a post last week, but the scheduled author did not contact me and I was in Florida. I'm happy to say that my mom is doing good and I helped her a lot. FYI, if I don't get to your blog until tomorrow or Wednesday, it's because my boyfriend and I just decided on Friday to go see the eclipse. We're going to drive to see it and come right back. If I have time while we're driving, I'll stop by blogs. 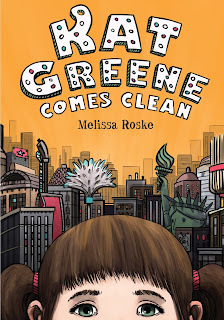 Today I’m excited to have debut author Melissa Roske here to share about her debut contemporary KAT GREENE COMES CLEAN. It sounds like a fantastic story about a middle grader dealing with the issues kids at that age go through while also grappling with a mom who is OCD. Eleven-year-old Kat Greene has a lot on her pre-rinsed plate, thanks to her divorced mom’s obsession with cleaning. When Mom isn’t scrubbing every inch of their Greenwich Village apartment, she’s boiling the silverware or checking Kat’s sheets for bedbugs. It's enough to drive any middle schooler crazy! Add friendship troubles to the mix, a crummy role in the class production of Harriet the Spy, and Mom's decision to try out for "Clean Sweep,” a competitive-cleaning TV game show, and what have you got? More trouble than Kat can handle. At least, without a little help from her friends. Hi Melissa! Thanks so much for joining us! Thanks, Natalie. So happy to be here! I’ve always loved writing—and books—so after college I landed a job in publishing. My first job lasted five months (my boss sent me out to buy toilet paper! ), but I quickly found a position at the now-defunct McCall’s magazine, before working as an editor at Scholastic. My husband and I then moved to London, where I was a freelance writer, and later, an advice columnist for Just Seventeen magazine. It wasn’t until I moved back to New York, after seven years of living abroad, that I thought about writing fiction. I’d written loads of articles for magazines and newspapers in the meantime, but I never thought I had the talent for fiction. I’d been back in New York for about a year when I was offered a job as an online relationships adviser for TheSite.org, an advice and information website for teens. It was a great gig, because it combined the two things I enjoyed most: writing and helping people solve their problems. I liked the job so much, in fact, I decided to train as a life coach. I started my coaching business soon after. 2. How awesome that writing has always been a part of your career. Where did you get the idea for KAT GREENE COMES CLEAN? From a fortune cookie, believe it or not. It said, “A winsome smile is your sure protection.” I wasn’t sure what it meant at the time, but I liked the sentiment and decided to do some free-writing in my journal. Before I knew it, Kat Greene—a smart and sassy fifth grader—popped out. 3. How fun! I have a bunch of fortunes from fortune cookies taped on my fridge that predict wonderful things happening for me. Besides writing fiction, you were also a journalist and wrote as an advice columnist for Just Seventeen magazine. Did these writing jobs help you when you decided to write stories for kids and if so, how? letters from teens each month, and each letter brought me closer to understanding the teen psyche. Many of the letters followed a similar pattern: problems with boys, and acne, and periods, and friends; annoying siblings; overprotective parents; curfews. Other letters were absolutely heartbreaking, like the one from a 13-year-old girl whose mom had died of cancer. We ended up corresponding for more than a year until she stopped writing. At first, I didn’t know how to feel. Should I be relieved that this girl no longer needed me? Or worried that something had happened to her? Either way, it taught me that reaching out for advice is an act of courage; a leap of faith. I wanted to explore this further in my writing. 4. What made you decide to have Kat’s mom have OCD and what research did you do into people who suffer with this for your novel? What advice do you have for other writers who want to incorporate a disability either for the main character or one in a supporting role in their story? Oddly enough, it wasn’t until I was done writing the novel that I realized that the mom in the story is actually based on my dad. He’s the opposite of Kat’s mom, though: He’s a hoarder who keeps everything. Another symptom of his OCD is “checking,” meaning he needs to ensure that the front door is locked before he goes to bed. He will go back to the door, over and over, checking and re-checking, dozens of times. He does the same with the gas jets on the stove, and with the dishwasher. I too have obsessive-compulsions tendencies, including the need to have my window shades fixed at a certain level, but I wouldn’t say they impede my life. They’re just extremely distracting—to my family, and to myself. In terms of research, I actually had to do quite a lot. I wanted to make sure that the portrayal Kat’s mom was fair and accurate. To that end, I read many books on the subject, including two excellent memoirs: David Adam’s The Man Who Couldn’t Stop, and Traci Foust’s Nowhere Near Normal. I also interviewed several psychologists and psychiatrists, and corresponded with people—including Traci Foust—who suffer from OCD. I talked to members of their families as well. Incorporating a psychological disorder or disability into a novel is easier if you’re familiar with it, obviously—but it’s nothing to shy away from. You just need to do your research. 5. Sounds like you did extensive homework. And that's interesting how this part of the story came later after your manuscript was written. From reading reviews, it sounds like you developed Kat into a great character who readers can relate to and love and nailed her tween voice. Share a bit about your process of developing her into the character she became. Thanks for saying I “nailed it.” I know I sure tried! As far as developing Kat’s character goes, I don’t think it was a conscious process. I just dug into my treasure trove of middle-grade memories and extracted bits here and there. The voice came organically, probably because I’ve got the mindset of an 11-year-old. I’m also the size of one! All kidding aside, I’m not Kat—but there’s a lot of her in me, and vice-versa. This stands to reason, considering that most writers reflect themselves in their characters. It’s almost impossible not to. 6. I read that you extensively revised your story after it was unsuccessfully submitted because you believed in your story and did not want to give up. How did you tackle this and what advice do you have for other writers who may need to look at their story with fresh eyes to see a better approach to it? This is an important issue, and I’m glad you brought it up. I was ready call it quits after my manuscript failed to find a home, and I did—for a couple of weeks. But not writing was worse than sitting around the house scarfing junk food all day, so I decided to try again. I won’t lie; it was hard to get going again. Not only was I feeling raw from the rejection, there was a strong chance I wouldn’t get a new agent. I mean, who wants to represent an author whose book got passed over in the submissions process? Regardless, I gave it another shot. Armed with Les Edgerton’s writing craft-book, Hooked (more on that later), I took a long, hard look at the manuscript and completely reworked it. I revamped the plot, added new characters, and changed the title. I also hired a professional editor for a full-scale manuscript evaluation. Then I started querying my new-and-improved manuscript all over again. In terms of advice, I’m reluctant to tell another writer how to respond to rejection. It’s a highly personal process, and what slays one writer will barely ruffle the feathers of another. Still, I will say there’s tremendous strength in persistence. It makes you feel as if you’re more in control of the situation, and of yourself. That’s not to say persistence always pays off, but living with regret hits harder than the sting of rejection. At least, for me. 7. I agree with you. Persistence and being willing to make radical changes to a story like you did are important if you really believe in your story and want it published. What was something—craft book, novel, etc.—that helped you grow as a writer and how did it help you? 8. I need to read both of these books. Your agent is Patricia Nelson. Share how she became your agent and what your road to publication was like. I started querying KAT in 2012. I got an agent after an R and R, and went on submission in 2012. When the manuscript didn’t sell, my agent and I parted ways. Then, as above, using Les Edgerton’s Hooked for guidance and inspiration, I reworked the book from top to bottom and started the querying process all over again. I found a great agent, who then sold the book to Julie Bliven at Charlesbridge. I’ve since switched agents—I’m now represented by the awesome Patricia Nelson of MLLA—and I definitely hit the jackpot. Patricia is a brilliant editor, tireless cheerleader, and wise mentor. I am so lucky to have her in my corner. 9. Marketing can be a challenging role for many authors. What is your approach to marketing this book? Have any of your decision been influenced by watching other debut authors launch and market their books? Marketing is a HUGE challenge, especially for writers who aren’t all that familiar with social media. Luckily, I was pretty active on Twitter and Facebook prior to writing KAT, so it didn’t feel as overwhelming as it might have. That said, it is stressful to put yourself out there, and it can feel as if you’re “pushing” your book to some extent. (Maybe that’s why I’m more comfortable in a cheerleading role, offering support to other authors.) One thing to watch out for, though, is underselling yourself. You don’t want to toot your own horn to the point of obnoxiousness (and it can be a fine line, believe me), but a little horn tooting is okay. Author Jess Keating gets this balance exactly right. She cheerleads and horn-toots in perfect combination. Thanks for sharing all your advice, Melissa. Melissa Roske is a New York-based writer of middle-grade fiction. 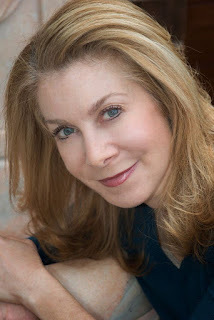 Her debut novel, KAT GREENE COMES CLEAN, will be published by Charlesbridge on August 22. Find Melissa on her website, on Facebook, on Twitter, Instagram, and Goodreads. 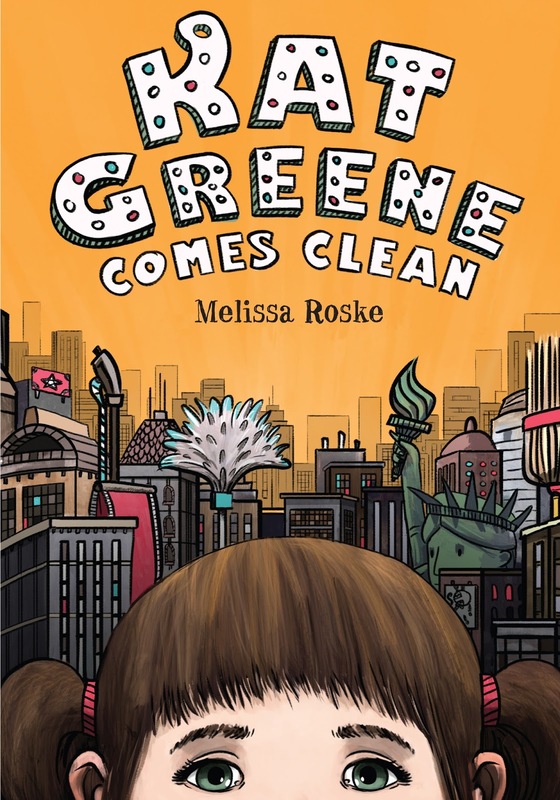 Melissa has generously offered a copy of KAT GREENE COMES CLEAN for a giveaway. To enter, all you need to do is be a follower and leave a comment through September 2nd. If your e-mail is not on your Google Profile, you must leave it in the comments to enter the contest. If you mention this contest on Twitter, Facebook, or your blog, mention this in the comments and I'll give you an extra entry. You must be 13 years old or older to enter. 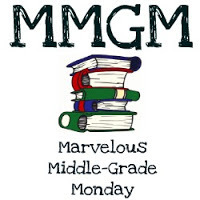 The book giveaway is U.S.
Middle Grade Monday was started by Shannon Messenger. You can find the participating blogs on her blog . Here's what's coming up. FYI I will be taking some weeks off in July and August since the summer tends to be slow and I use this time to start preparing my schedule for 2018. But I have a busy schedule for you starting in September with a number of agent query opportunities too! Hope to see you on Wednesday, September 6th! She did a ton of homework for the the mother. I'm sometimes a little compulsive when it comes to how things are arranged. I like them all nice and neat. We should have a good view of the eclipse here, so I'll be stepping out back with my pinhole camera this afternoon. Thanks for mentioning that! (And forgive this slow-pokey response. I'm digging myself out from book promo now.) I have some OCD traits too (i.e., making sure the drawers are shut and the window-shades are aligned.) I get it! I like the premise of Natalie's book. I know that OCD can be debilitating, and I'm glad it doesn't interfere in her life. She sounds like someone who has done a lot of things, and her character, Kat, must have her hands full. I've tweeted about the giveaway! Great interview, ladies! I love reading about the path that brought people to novel-writing for kids. Sounds like a good book~ looking forward to reading it! Natalie, have fun watching the eclipse! haha I can relate to the ocd, have the habit of checking the door and washing my hands a tad much. But meh, oh well. Very true, okay to toot your own horn a little. What an interesting interview. I'm so happy Melissa kept working on her novel. Such an important topic for kids who have OCD or have family members. Charlesbridge is the perfect home for your book. I enjoy reviewing many of their titles. I like healing books. It's always interesting to find out how a book started. Winsome smile and a journal seem to be a perfect match to kickstart the story. Congratulations. And congratulations to you, Natalie for taking some eclipse time! What a fascinating background and story for Melissa to write. Thanks for the excellent interview and the info on her writing mentors. Melissa really has an interesting background that really helps her.get it right. And what an interesting life. Kat Greene sounds very interesting and I always enjoy hearing about where the story idea came from. Have fun with the eclipse Natalie. Great interview. I enjoyed learning the background of your story. Yes, persistence is so important. Never give up. Congratulations, Melissa. Sounds like a winner. Wonderful, wonderful interview. Thanks so much for that. The book sounds terrific. I can't help myself. I'd love to have a chance to win. Glad your Mom is getting better and hope you managed to view the eclipse. Saw the last one to hit the UK and it was an awe inspiring experience. Congrats to Melissa, proof that we should never give up on our dreams but keep going. That sounds like a great story! Glad your mom is feeling better, Natalie! Glad your mom is doing well, Natalie. I also hope you got to see the eclipse! Thanks for all these amazing comments! I apologize PROFUSELY for not replying sooner. I've been buried alive in book promo. AAARRRGGHHH! Kat Greene Comes Clean sounds like a cute and clever story. Being more radical to changes and going off to other places sure can surprise indeed. Who knew fortune cookies were so helpful lol great interview indeed. Natalie - it's great that you've become more brave! Taking work to critique groups is tough, but it's worth it. Way to go!